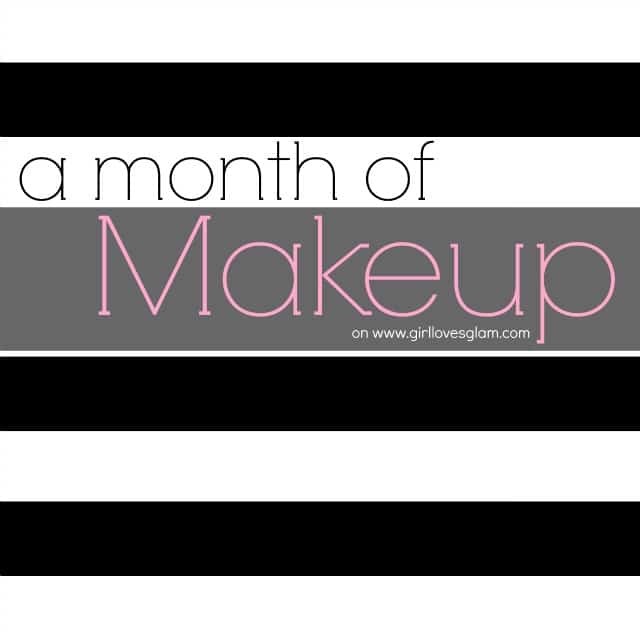 Can you believe that the A Month of Makeup series is coming to an end? Today is the last day! Don’t forget to check out the next post coming in about an hour with a HUGE announcement about this series too! I will be updating my tutorials page soon with all of the tutorials from this month in it too. I wanted to end the series with a bang! 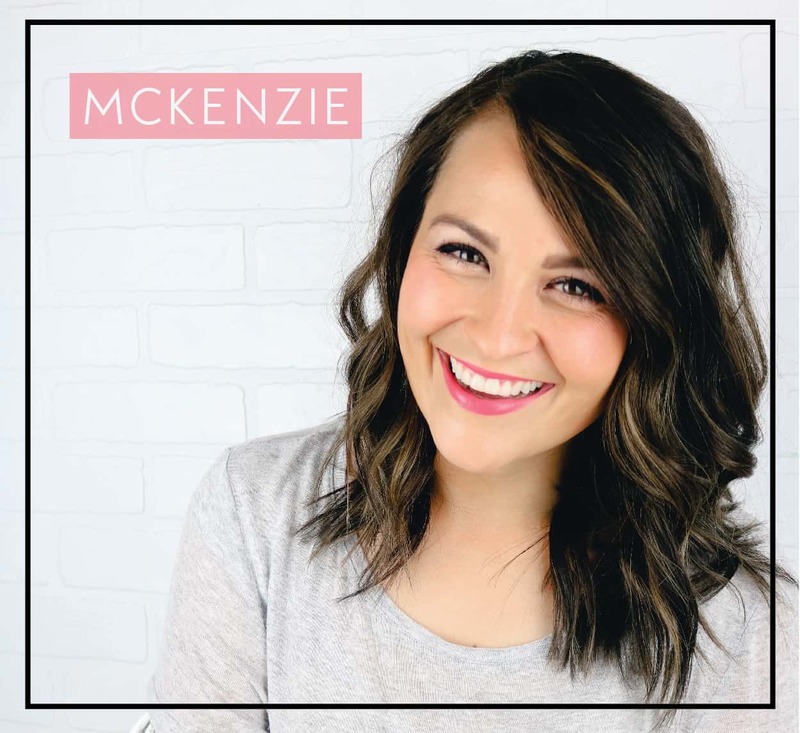 I came up with a REALLY fun way to do your eye shadow that I am basically obsessed with. 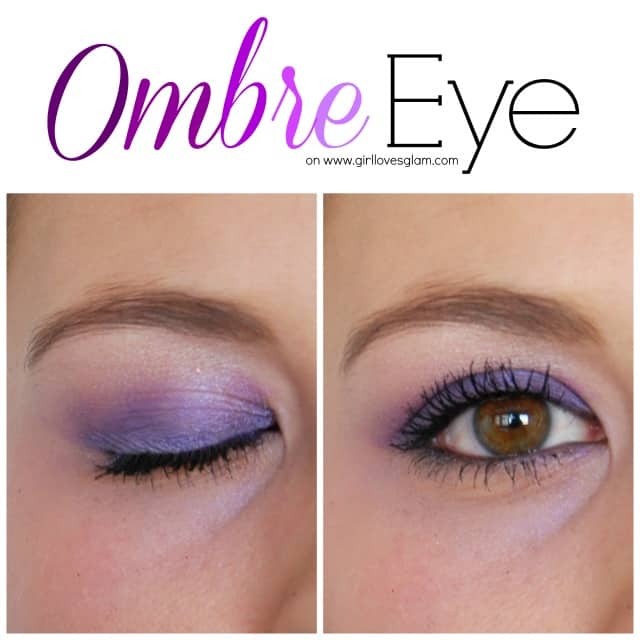 Ombre eye shadow! 2. Put the darkest color of eye shadow on the lash line and go up to the crease if you have 2 colors you are working with. If you have 3, go only about halfway up to the crease. 3. If you are using 3 colors, take the next darkest color and go from the bottom color to the crease. Overlap over the last color just a little bit so that it blends really well. 4. If you are using 2 colors, take the next color and go from the crease up just a little bit. Overlap the darkest color just enough to make it blend. Don’t go all of the way up to the eyebrow, but go up enough that you can see the new color. 5. Take your white/cream eye shadow and overlap that top color just a little and brush it to the eyebrow. 5. Use eyeliner and line the insides of your top and bottom lids. 6. Pencil in your eyebrows. 7. Use mascara on the top and bottom lashes. This is totally my new favorite! I would love to hear if you try this look out! Thank you so much for tuning into the A Month of Makeup series! It has been so fun! I had a special request for a post about what eye shadow colors go well with eye colors as part of A Month of Makeup series. 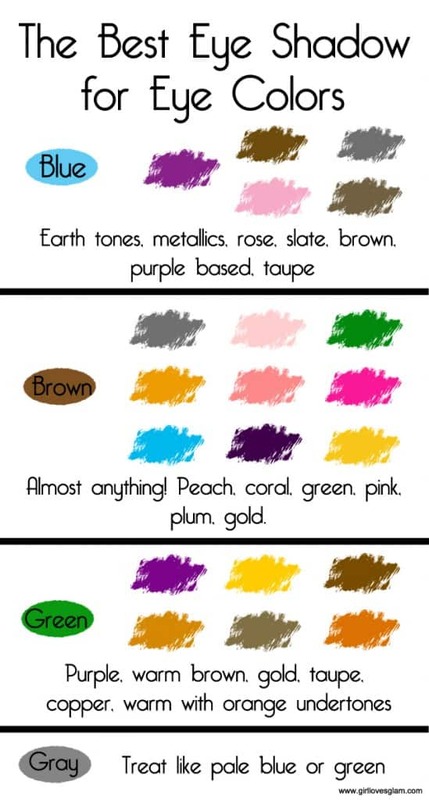 I realized that most people don’t know what eye shadow colors to wear! I made an infographic to help you remember too. You can even print it off and keep it in your makeup bag. Just save the image to your computer and print it off! Remember that with each of these colors mentioned, you can play around with several tones of these colors as well. You can have the color be lighter or darker too depending on how bold you want your look to be. Blue: You can wear earth tones, browns, metallics, purple based colors, taupe, rose, and slate. Brown: You can basically wear every color! Lucky you! The colors that really make brown eyes pop are peach, green, coral, pink, gold, and plum. If you have different colored specks in your eyes, you can choose those colors to accent too. Green/Hazel: Colors that look great with green/hazel eyes are copper, taupe, gold, warm brown, purple, and warm colors with orange undertones. Gray: Gray eyes are pretty rare. If you have gray eyes, you should treat them like a pale glue or green. Just figure out what color is the base color is to the gray and go with that. I hope this helps! It is amazing to see how much better your eyes look when you use specific colors to really make them pop!